End of this month Cyril Genot will have experienced his first 2 months as a professional motocross racer and it’s definitely paying off for the young Belgian rider. This weekend Cyril was behind the starting gate of the sixth round of the German Championship in Dolle. With a second overall, he showed some good speed and the progression that he has already made. 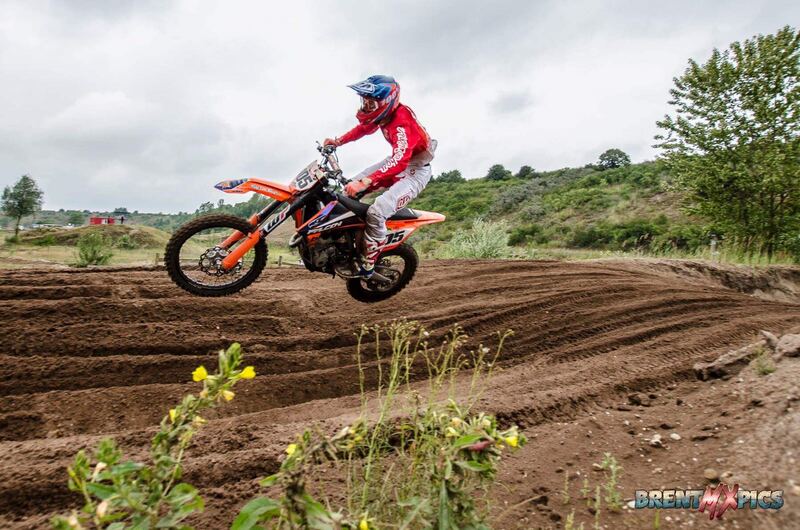 The KTM Falcon Motorsports rider was participating in the German championship for the second time this season. On a track he experienced earlier this year, Cyril had in mind to test his physical condition and his progression since he graduated from School. A good test for him before the return of the ADAC next weekend. With a 4th in 1st moto and the win in the second one, Cyril was pretty happy about the race but most of all he could appreciate the work he has done till now and the improvement in his physical shape and also in his race management. Cyril will be racing the second-last round of the ADAC MX Masters in Gaildorf next weekend. For more information about Cyril and Seven Rider Management, contact Charles Kohut at kohut@sevengmbh.com.